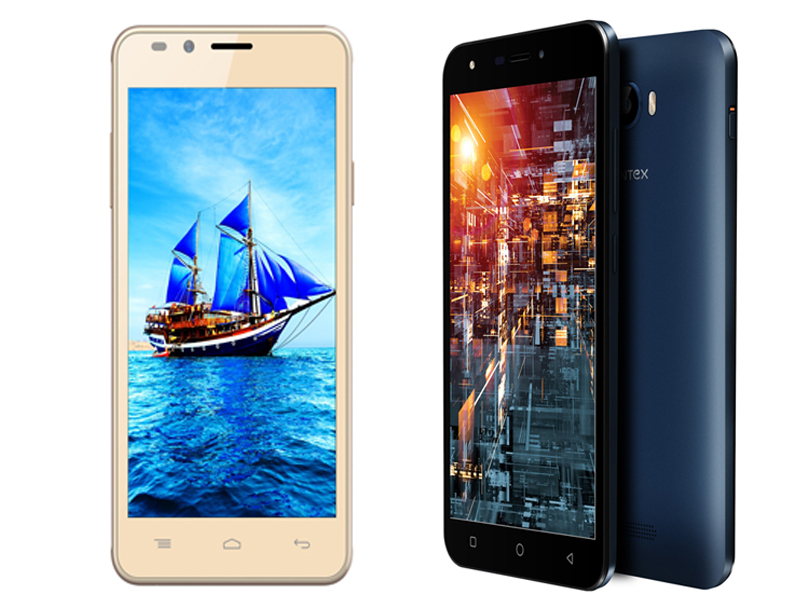 Intex Technologies, a leading player in the mobile handset segment, today unveiled Aqua 5.5 VR and Aqua Craze II at the ongoing IGE 2016. Bundled with attractive value added services and unique features, Aqua 5.5 VR and Craze II are priced competitively at INR 5099/-& INR 5,990/- respectively. Aqua 5.5 VR will be available exclusively on Flipkart from October 19th onwards, whereas Craze II will be through retail channels. The 4G Volte enabled smart phone, Aqua 5.5 VR comes with a big-screen experience 5.5 inch HD IPS screen display of 720*1280 resolution which gives it a stunning display. The big screen is complemented with the functionality of 3D content making viewing experience much more immersive. The device is powered by a 64-bit Quad-core Mediatek processor that ensures seamless multitasking along with 1GB RAM, 8GB ROM and 32GB expandable memory coupled with the latest Marshmallow, Android 6.0 OS. Aqua 5.5 VR comes with a 5MP front camera equipped with front LED flash and a 5MP primary camera having dual back flash engineered to take better and smarter selfies even in dark. The 4G Volte enabled Aqua Craze II has a 5-inch HD IPS screen, powered with Android 6.0 Marshmallow, 1GB RAM and 8GB ROM. The device has a 5MP selfie camera and a 5MP primary camera with LED flash. 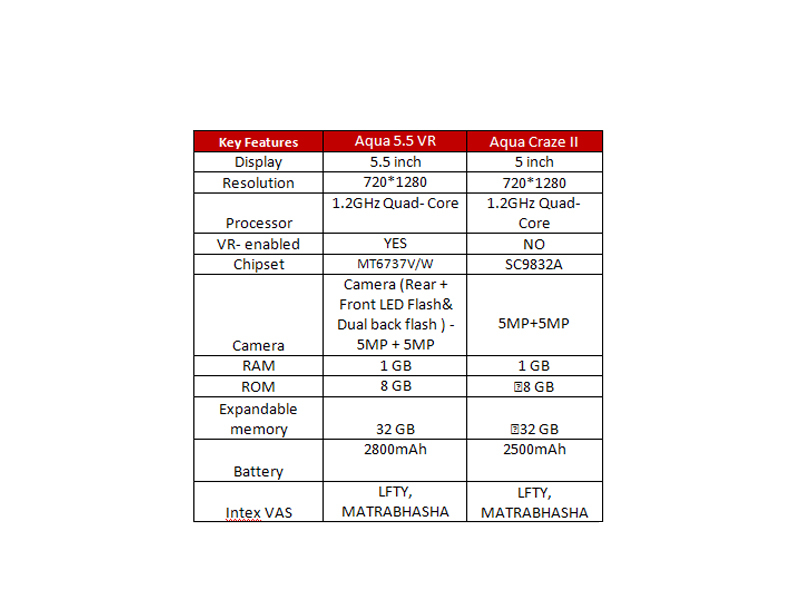 The key features of Aqua 5.5 VR & Aqua Craze II include Intex’s in-house VAS named LFTY - Experience the New Left and MATRABHASHA. Left screen concept aims at providing a seamless cohesive mix of multi-category content and value adds to the end consumer on the left screen. A single screen for multiple utilities and content categories i.e. access to content and utilities in 1 swipe - Video, Music, News, Shopping, Weather, Twitter, Best Apps et al. Further, this helps in filtering pop-ups/distractions on the home screen. With Matrabhasha feature, users will be able to tweet, text, post and WhatsApp in over 21 Indian regional languages.